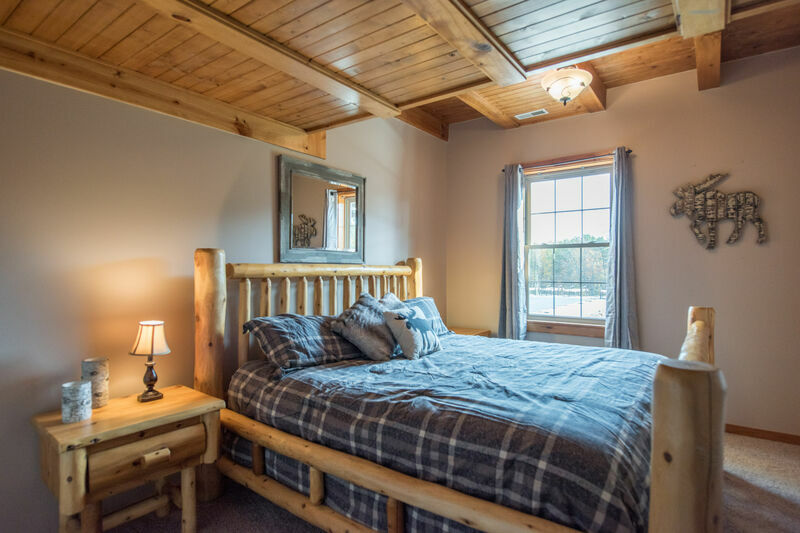 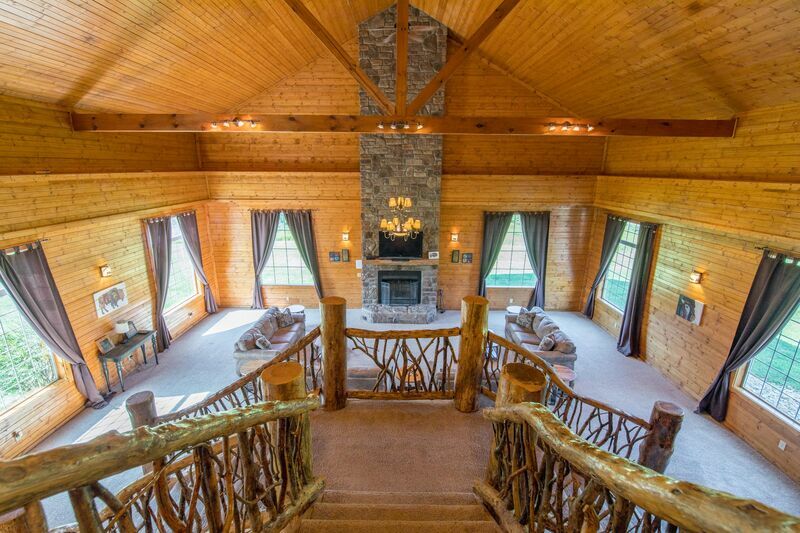 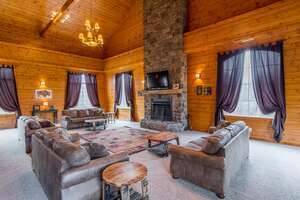 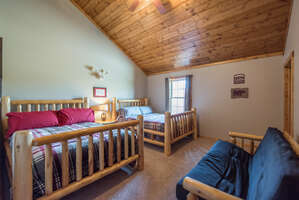 Falls Lodge is a spacious and luxurious vacation home for up to 26 guests. 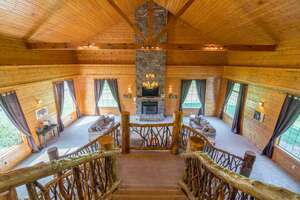 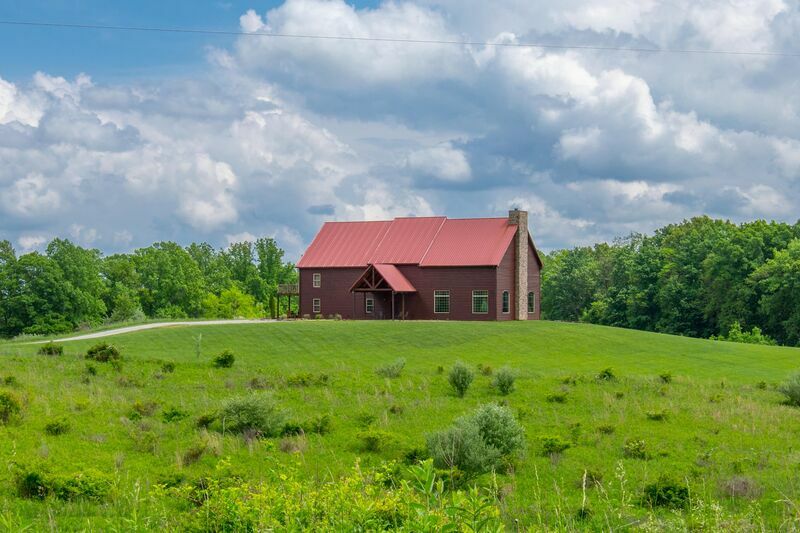 Inside, there is over 5,000 square feet of living space with 7 bedrooms and 3 baths. 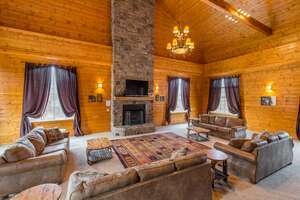 The great room boasts 35 ft. ceilings with a grand, double-entry staircase and floor-to-ceiling stone fireplace. 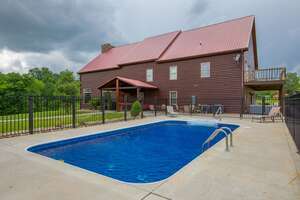 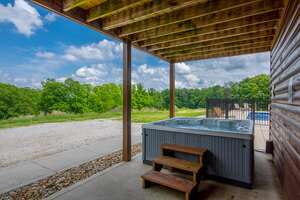 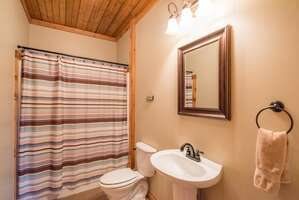 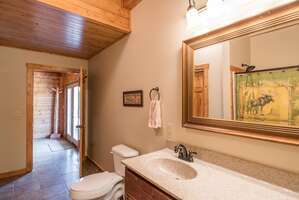 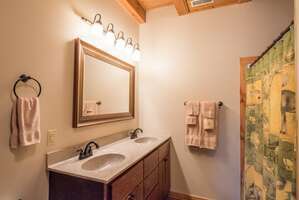 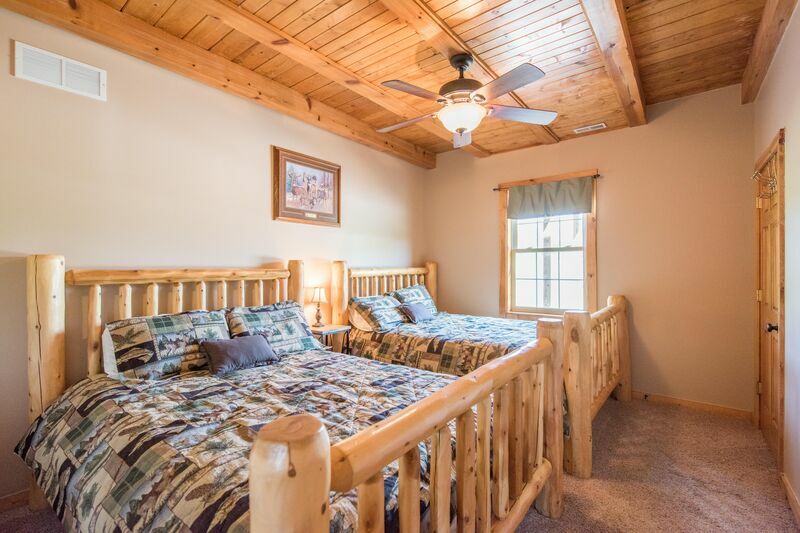 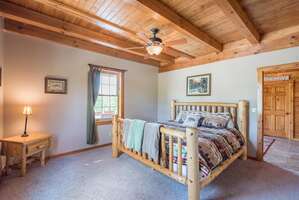 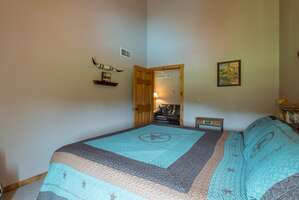 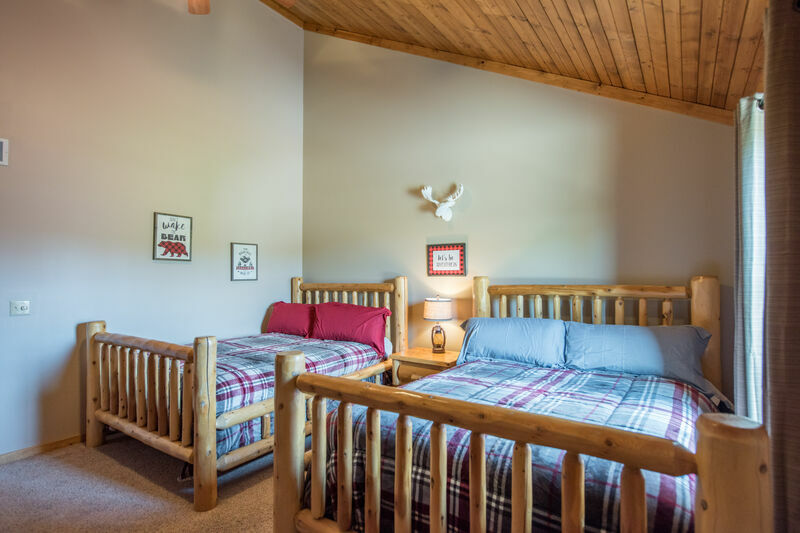 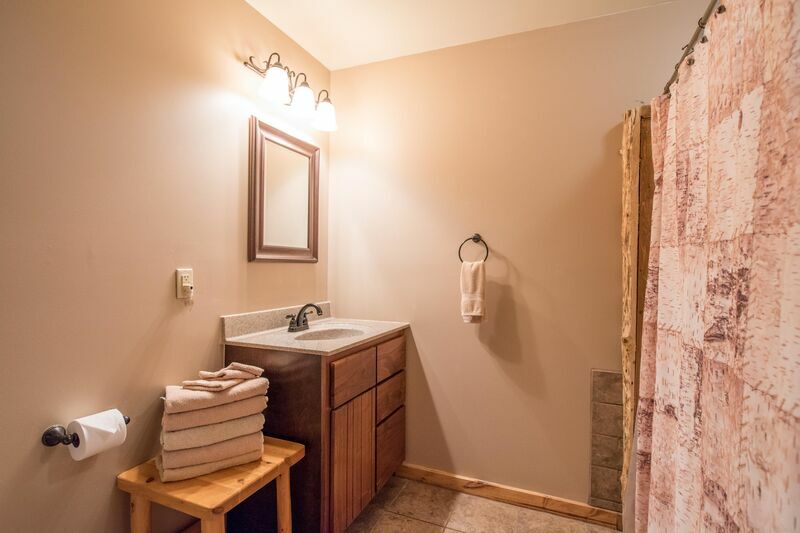 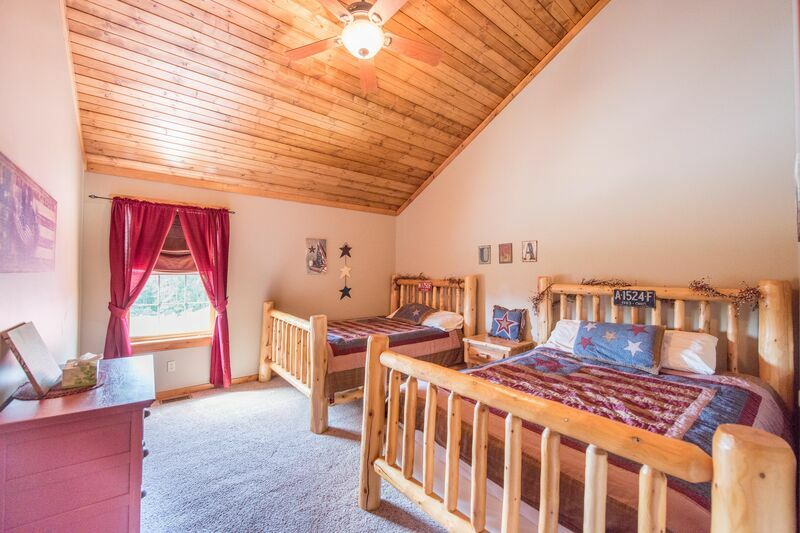 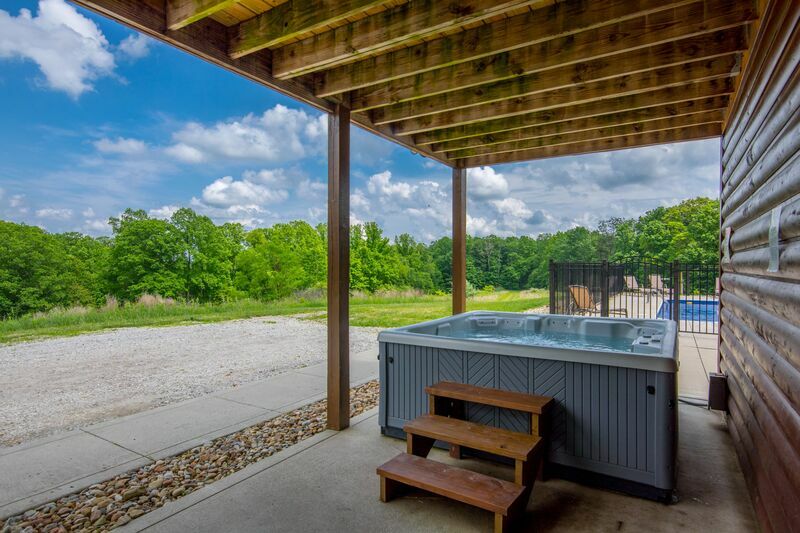 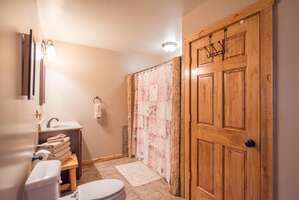 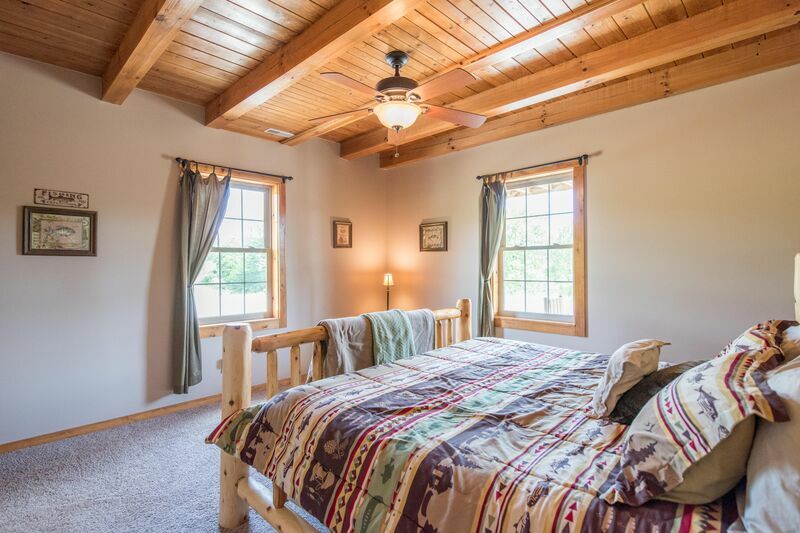 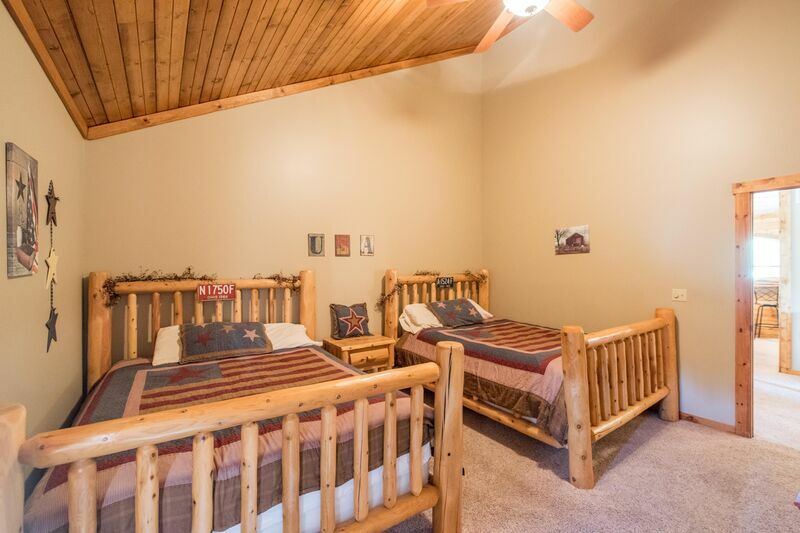 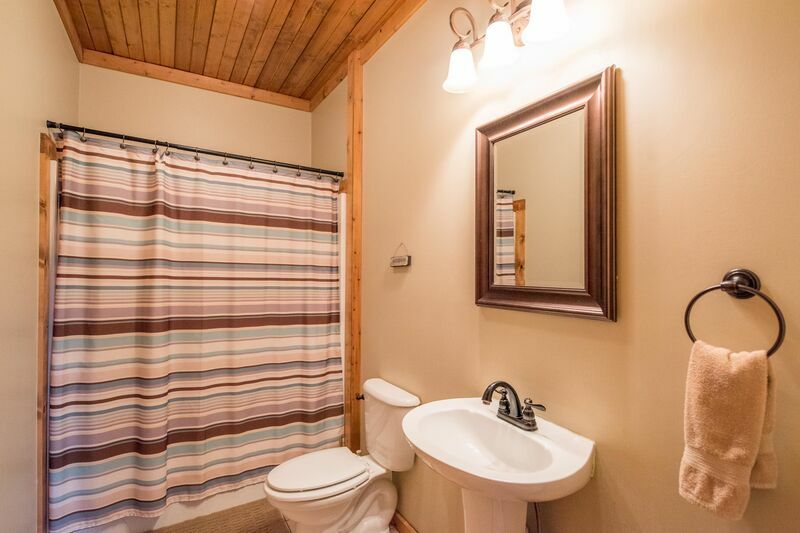 Outside, there is a seasonal in-ground swimming pool, expansive yard and recreation space with onsite hiking and cliffs, and close proximity to Cantwell Cliffs State Park. 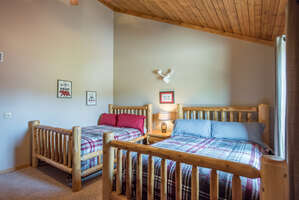 It's located near Timber View, Meadows, Creek, and Grand Bentley lodges as well as Cantwell Prairie.